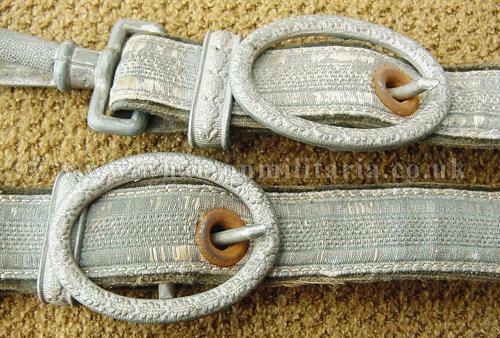 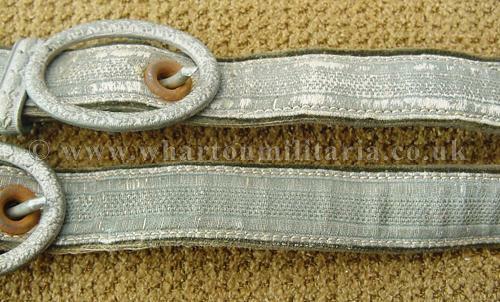 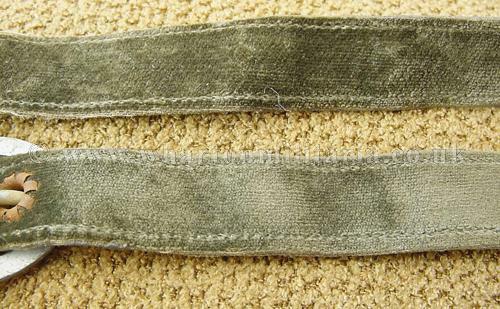 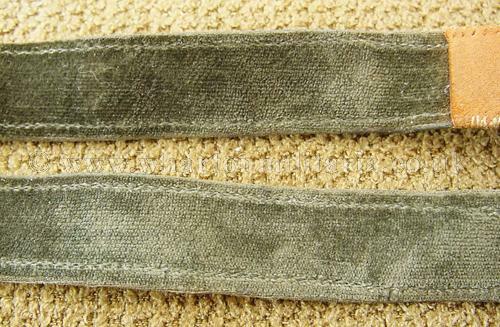 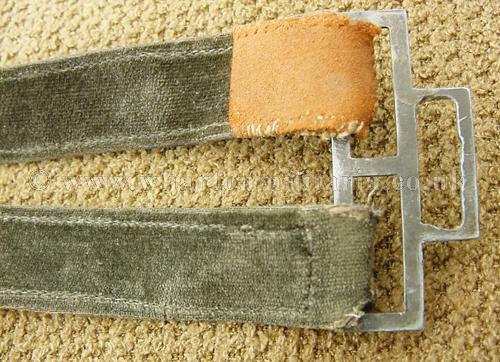 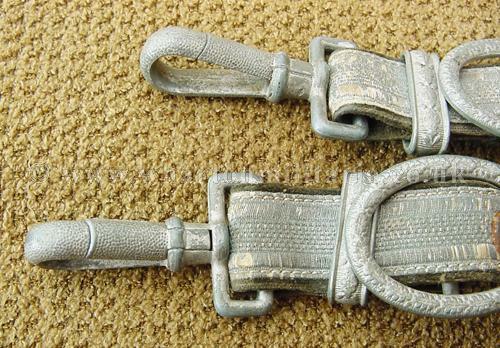 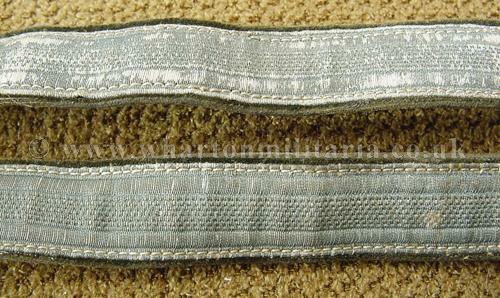 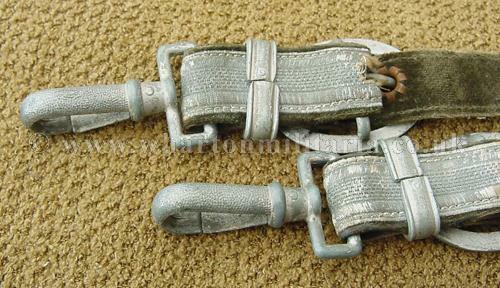 A now scarce pair of WW2 delux hanging straps for the Army dagger. 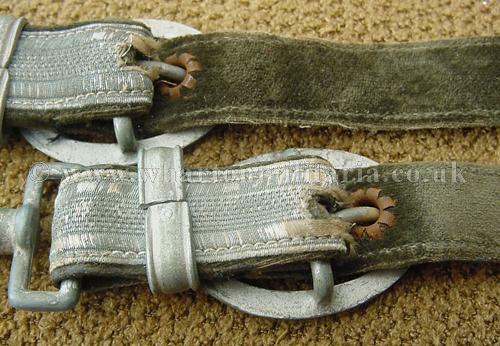 A nice set of hanging straps in very good condition with minimal wear, oakleaf belt clips on fabric straps with velvet backings. 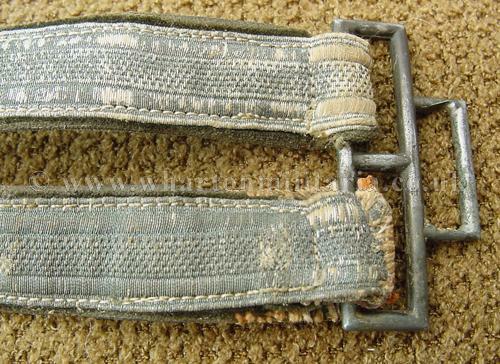 A little worn in the hanging hook where the strap material has moved against the fitting in wear during their useable life, one has had a period repair with a leather tab being fitted to strengthen, a common style of repair on these early well used hanging straps, felt unmarked, couple signs of wear on the front face of the straps otherwise a fine presentable set of straps for an Army dagger.